Read a track by track accounting of the entire album by Burton C. Bell HERE. PyroMusic.net: With Dino having been out of the band for a number of years, were you expecting a lot of eye-rolling and uncertainty from people when you announced that the two of you were working together again? Burton C. Bell: No, I didn’t expect any uncertainty, because Dino and I are the founders of Fear Factory and it was Dino’s sound, or Dino’s style that really created the sound of Fear Factory. So I didn’t expect any uncertainty, I just would have…. one of the experiences is that people have been very excited and very anxious what we have created for this new album. PM.net: There’s been a lot of media coverage of the legal banter between the two camps. Has that all been settled now and are you on good terms with Raymond and Christian now? Burton C. Bell: The legal issues the fans don’t need to worry about. All they need to know is that Fear Factory has not been stopped and we are touring. We have been touring, we have a new record coming out and whatever legal issues are going on the fans don’t need to know about it. PM.net: Without trying to push the point, are you on good terms personally with those guys now? Burton C. Bell: I am not on good terms with those guys, they fucked me over. New track from the new band calling itself FEAR FACTORY — featuring original FF members Dino Cazares (guitar) and Burton C. Bell (vocals) alongside bassist Byron Stroud (who played on the last two FEAR FACTORY albums in addition to touring and recording with STRAPPING YOUNG LAD and ZIMMERS HOLE) and legendary drummer Gene Hoglan (DETHKLOK, STRAPPING YOUNG LAD, DARK ANGEL, DEATH, TESTAMENT). 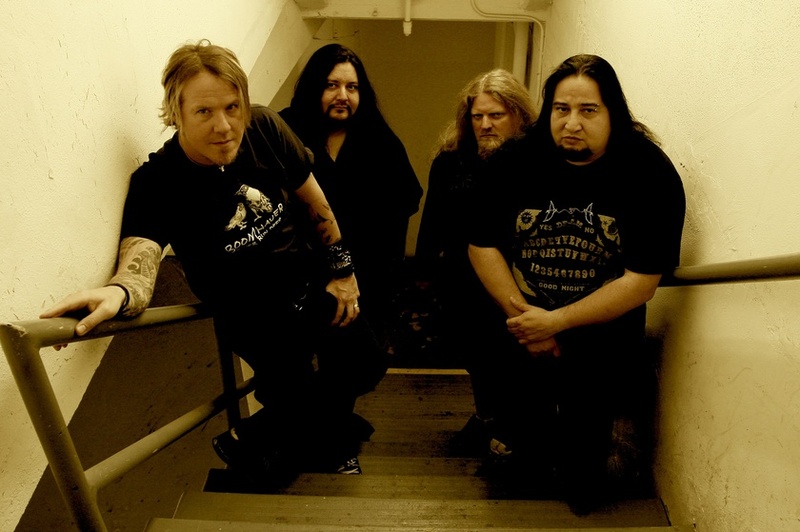 No response yet from Raymond Herrera or Chritian Olde Wolbers – the other half of Fear Factory – regarding the lawsuit over the band trademark, the newly announced album or newly announced label deal. The new band calling itself FEAR FACTORY — featuring original FF members Dino Cazares (guitar) and Burton C. Bell (vocals) alongside bassist Byron Stroud (who played on the last two FEAR FACTORY albums in addition to touring and recording with STRAPPING YOUNG LAD and ZIMMERS HOLE) and legendary drummer Gene Hoglan (DETHKLOK, STRAPPING YOUNG LAD, DARK ANGEL, DEATH, TESTAMENT) — will release its new studio album, “Mechanized”, on February 9, 2010 via Candlelight Records. 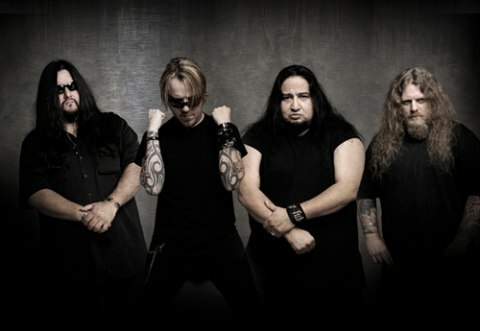 The new band calling itself FEAR FACTORY — featuring original FF members Dino Cazares (guitar) and Burton C. Bell (vocals) alongside bassist Byron Stroud (who played on the last two FEAR FACTORY albums in addition to touring and recording with STRAPPING YOUNG LAD and ZIMMERS HOLE) and legendary drummer Gene Hoglan (DETHKLOK, STRAPPING YOUNG LAD, DARK ANGEL, DEATH, TESTAMENT) — has set “Mechanized” as the title of its new CD, tentatively due in February 2010. In a new interview, original Fear Factory vocalist Burton C. Bell states that the problems with Fear Factory arose when original drummer Raymond Herrera and bassist Christian Wolbers brought in Christian’s wife to manage the band – a move he vehemently opposed. Following is a transcription of a portion of the interview. Burton: Before I go off on all the comments and everything, I’d like to make an official statement first. First of all, I just want to cut through a lot of the confusion about one issue since it really will be part of every answer. I have not made a public statement about it; I’m not one to air dirty laundry, but I have been forced to correct certain misstatements by Raymond and Christian. The fact that I have not worked with Raymond and Christian for the past three years as FEAR FACTORY is for this one reason — it’s that I did not want to be involved with their manager. Her name is Christy Priske and she happens to be Christian’s wife. During the “Transgression” mixing session, her and Raymond started a love affair that lasted for a couple years. As [she was the] manager of FEAR FACTORY, this was completely unacceptable to me. Rock My Monkey: Were you aware that the two of them [Christian and Raymond] were working on a new FEAR FACTORY CD? Burton: To begin with, I think it was irresponsible of Raymond and Christian to discuss specific business transactions in the media, but I can tell you that I never agreed to any deal that Raymond, Christian and Christy proposed for two reasons: The terms that they brought to the table were unacceptable; and I would just not allow the band to be managed by Christy. After I took that position, Raymond, Christy and Christian threatened to sign the deal anyway without me, claiming that they had spent a lot of money on attorneys to negotiate the deal even though I never approved of the expenditure or saw any of the proposed agreements. Read more of the interview HERE or listen to the full interview HERE. Burtons interview is in direct response to an interview with original Fear Factory drummer Raymond Herrera done by the same metal webzine. Listen to his take on the situation HERE.